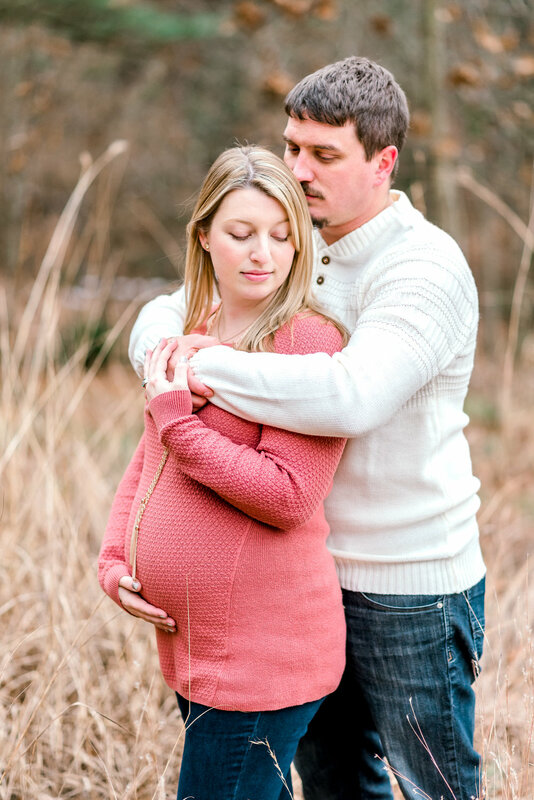 So we kept our maternity session simple and cozy with outfits we would typically wear and shot them in a place that is most comforting to us (Benjamin’s childhood home/property). I was a little over 26 weeks pregnant at our session, and I am so glad we did them at that point in my pregnancy. I was showing plenty but still comfortable enough to do just about anything pose-wise. Most of the time, I recommend that my pregnant couples wait until much later in their pregnancy, but this taught me that earlier on works just fine too if you are really showing like I was at that point! My very good friend, Stephanie, of Stephanie Anne Photography, squeezed us in during our trip home for Thanksgiving (right before my surprise baby shower!) and I am SO glad it worked out! Thanks, girl! You are the bestest! In case you are interested, my two tops and maternity jeans are from Motherhood Maternity and my husband’s tops are from good ol’ Amazon. I am not an affiliate of Motherhood Maternity. I just highly recommend their maternity clothing. Everything I’ve purchased from them has been really nice and quite affordable! 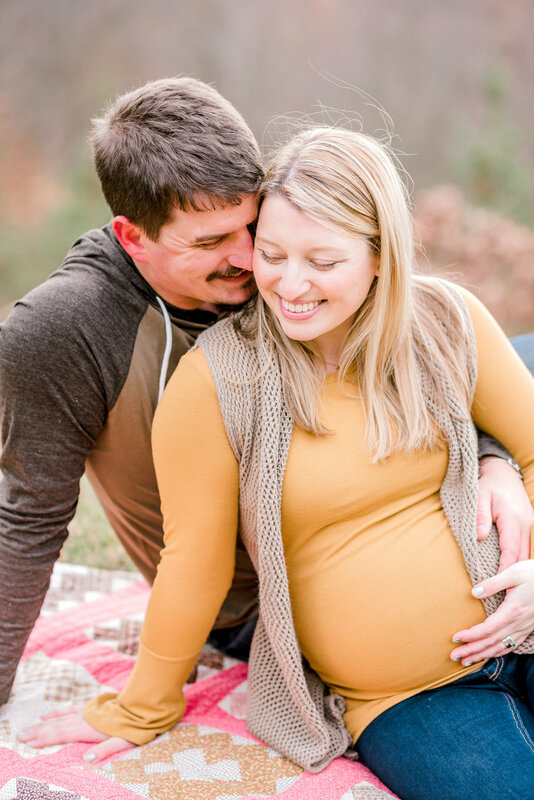 Here are our favorites from our outdoor Michigan maternity session! I think this one above is my absolute fave….. but ask me again tomorrow and I will change my mind! Our other favorites are below in a slideshow. Thanks again, Steph! You made me feel beautiful at time when it’s hard to feel fabulous! We have already printed a few of these on metal and now have them hanging in our home. Can’t wait to add some newborn photos soon! Eek!